Located southeast of Alicante, Torrevieja is a quick 20 miles from either Muricia or Alicante airports. Torrevieja was originally a small fishing village and salt mining area that has now mushroomed into a major European tourist destination. 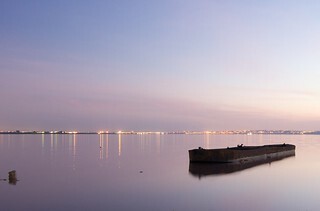 Perhaps the best-known attraction are the Salt Lakes located in the La Mata and Torrevieja Nature Park of the Lagoons. This well preserved wetland area is a kind of outdoor museum, ideal for lovers of botany as well as those who would like to spy the large numbers of different birds including flamingos, as well as the unusual vegetation surrounding the lakes. There are salt baths in the park which are particularly helpful for people with arthritis, making the town a major destination for those suffering from the disorder. The Museum of Sea and Salt offers an insight into salt mining and production as well as offering an astonishing variety of craft items made from salt. It also houses a large selection of model boats, even offering a tour of a submarine, and many archaeological items from the area. Another popular place to visit is the Holy Week Museum of Tomas Valcarcel, which was opened in the early 90s to showcase the strong local heritage of the Easter passion processions for which the city is noted. The museum also houses a large display of embroidery, paintings and sculptures. The Ricardo Lafuente Museum is dedicated to Habaneras music, a 19th century style of Cuban dance music, of which local resident Lafuente, composer of the town’s anthem, was perhaps the best known exponent. In addition to listening to recordings of his music, there are many hundreds of Lafuente’s compositions on display, as well as a photographic history of the musical style. 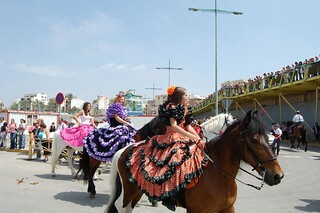 Torrevieja festivals include the May Fair, the celebration of the town’s patron saint, Virgen del Carmen in mid July and the Summer Music Festival in July and August. So you can see why Torrevieja is such a popular Spanish destination. 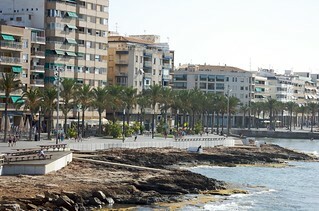 Have you been to Torrevieja, what are your tips for things to do and see there? Photo Credits: Heart Industry, youngun.